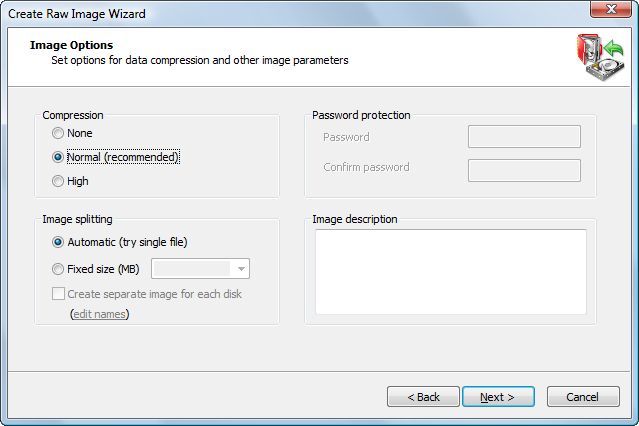 Configure the compression settings and image splitting and enter a description for the archive. You cannot create a file greater than 4Gb on a FAT partition. In some situations, even 4Gb files cannot be handled properly. To provide the best data integrity on a FAT disk, select 2GB (FAT) from the drop-down list or enter a smaller number manually.